Even so, at low engine speeds, the GT-R isn’t as responsive as the car Nissan has benchmarked it against, Porsche’s 911 Turbo. However, once the engine revs past 3,000rpm, this is a savagely fast car. 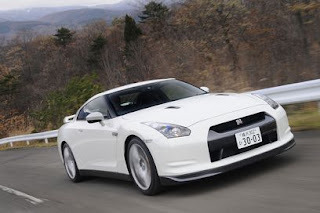 The noise is purposeful rather than inspiring, but there’s precious little turbo lag and the GT-R hurls itself from 0-60mph in just three and a half seconds. The interior isn’t the most exciting, but it’s very solidly constructed and is likely to be well equipped when it hits the UK, priced at around £55,000. Which brings us to the bad news; it won’t be arriving here until March 2009. As the saying goes, the best things come to those who wait.